Here are some facts about Hungary. Hungary is a landlocked country, located in the centre of Europe. It covers about 93,000 square km and is bordered by Slovakia, Romania, Ukraine, Croatia, Serbia, Slovenia and Austria. It has been occupied by the Celts, Romans, Huns and Slavs and has a population of about 9 and a half million. About 3 million live in Budapest, the capital and largest city. Budapest is situated on the River Danube, which divides it into two halves — Buda and Pest. It has the world’s second oldest underground railway, after London. Budapest’s Parliament building is one of the oldest and largest in the world. It contains 10 courtyards, 29 staircases and almost 700 rooms, most of which are never used. There are over 200 cave systems under the city. The Szemlohegyi cave has mineral formations that look like grapes, bunches of flowers and vegetables. The modern safety match was invented by a Hungarian, as was the telephone exchange and the ballpoint pen. One of the most popular toys ever, Rubik’s Cube, was also invented there. Hungary has over 400 public baths, as well as 1500 spas, many of which are designed in Greek, Roman or Turkish style. The country is also home to one of the world’s largest thermal lakes. One of Hungary’s national dishes is goulash, which dates back to the 9th century. The name comes from the word for a herd of cattle, and the dish was first eaten by shepherds. The right hand of Hungary’s King Stephen, who died in 1038, is kept in the Basilica of King Saint Stephen. His feast day is an important holiday and is celebrated on August 16th. 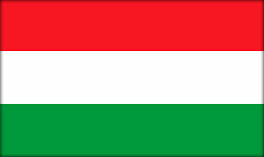 Hungary has won gold medals at all Summer Olympics except those in 1920 and 1984, when they did not compete. Hungary has been one of the most successful countries in the sport of water polo.